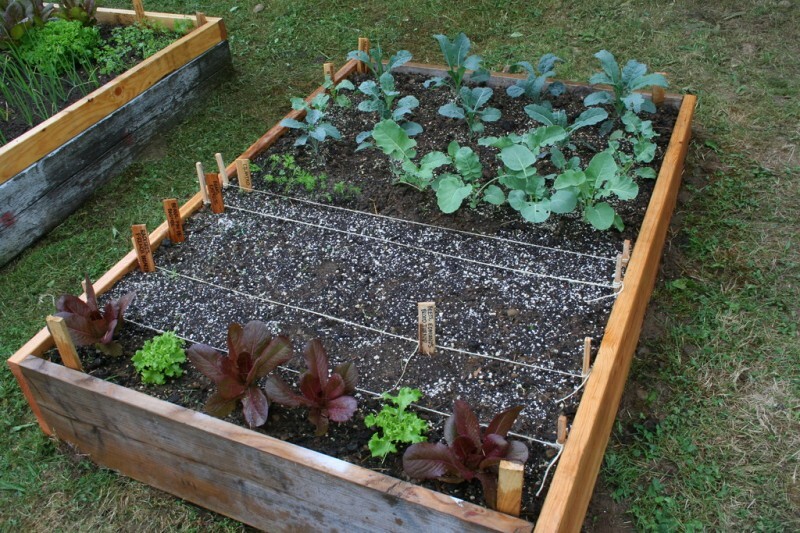 This year I decided to try and grow my own vegetables in the back yard. 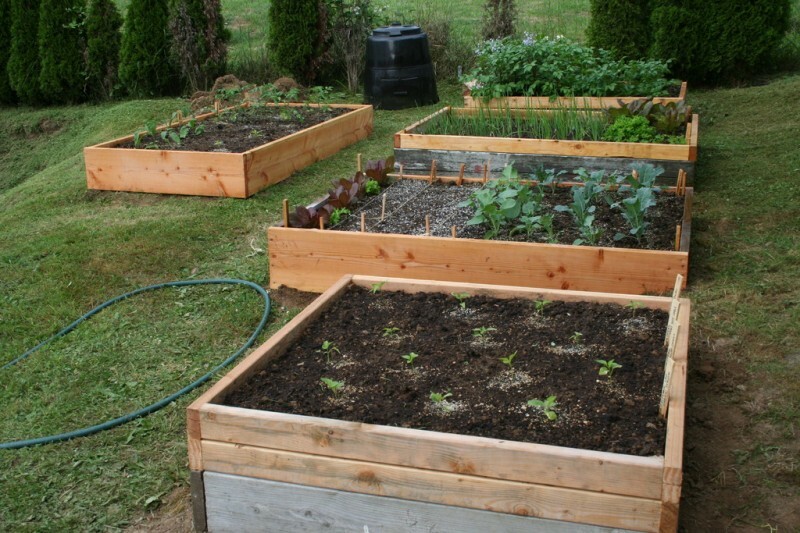 I ended up going with raised beds mostly because the soil I had to work with was all clay and therefore I needed to bring in other components to improve it–in this case nearly two pickup loads of nicely composted horse manure and a bit of construction sand. I took these photos after I had built my five main raised beds and more or less fully planted them. I’m having a lot of fun with it. Hope you enjoy the photos. 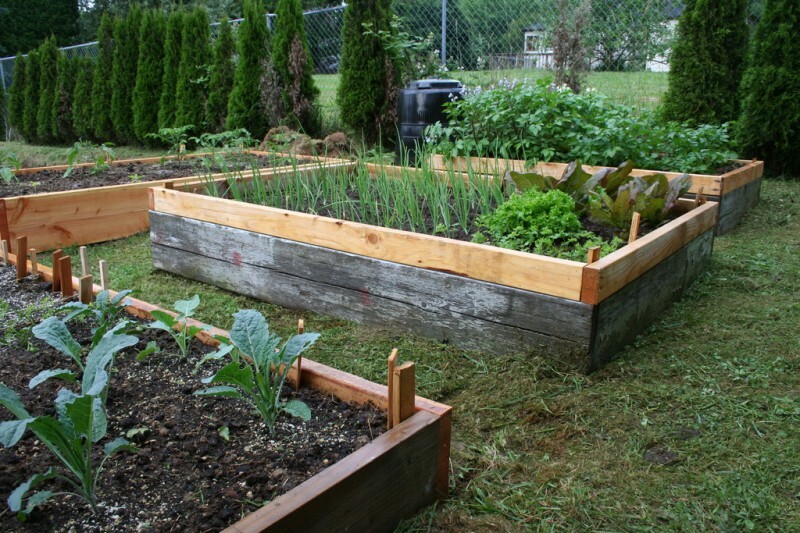 This is my little garden--the five main raised beds and our compost bin that will keep them well nourished. 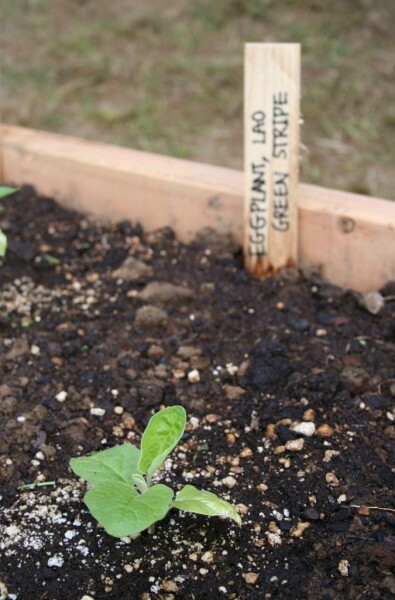 The smallest bed at four by four feet, planted with Jalapeños, Thai Hot Peppers, Napoleon Sweet Peppers and Lao Green Stripe Eggplants, each spaced about a foot apart with offset spacing. As you can see, these guys are pretty small right now. I probably started them a little late, and got them in the ground late as well. Hopefully they will grow up in time to produce well. This is the second bed we built, a four by six footer. 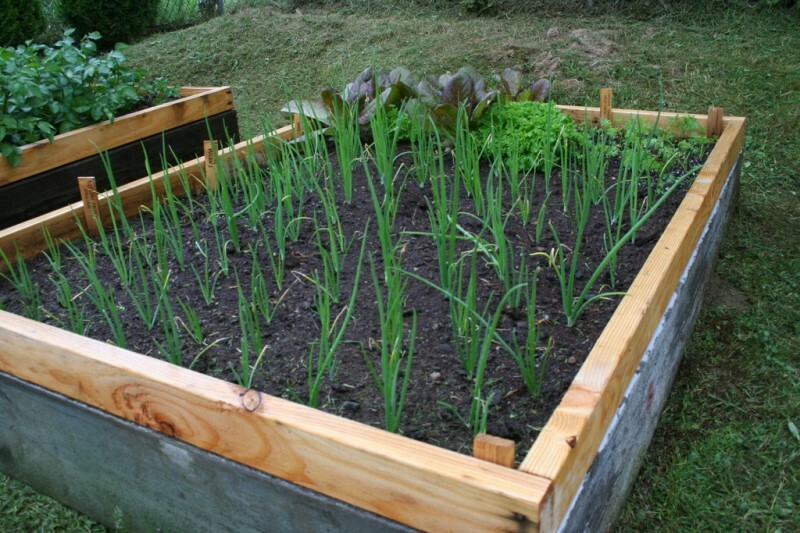 In it I planted lots of onions--some Spanish Sweet Yellow, some Rosa di Milano and some Walla Walla Sweets--along with two types of lettuce--Tango and Rouge di Hiver--and a little patch of Danver's Half Long carrots. I just harvested a few of the Rouge di Hiver leaves today! My first ones! 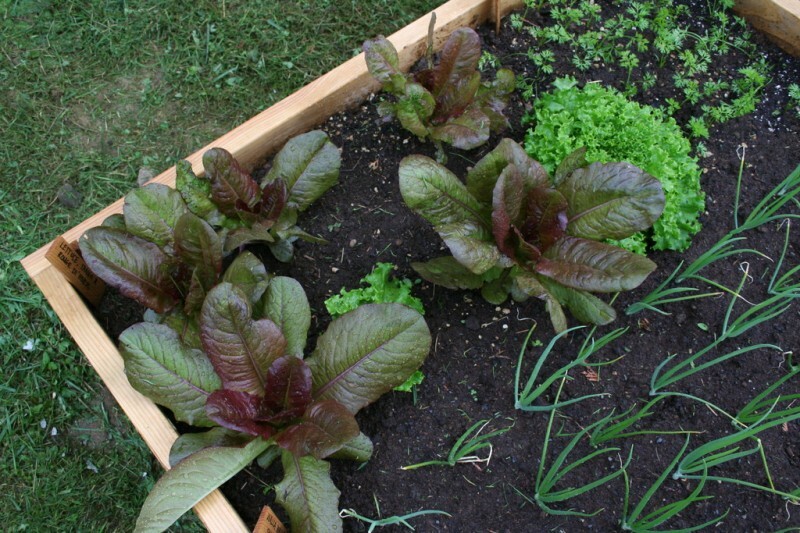 I started the lettuce (as most of what I'm growing) from seeds, and nearly all the Rouge di Hiver seeds germinated, while only twenty-five percent of the Tango made it. So, the proportion is a little off. I was hoping to have half of each, but oh well. I'm just happy to have what I have. I probably should've planted more carrots, but I was sort of short on space since I planted a ridiculous number of onions. But this should be a decent amount. I broadcasted these seeds in the bed and then thinned them out (moving some to the adjacent bed) when they were about this tall. This is the third bed I built, another four by six foot. There are quite a few things squeezed into this space. I started with kale and broccoli on one side and lettuce on the other. 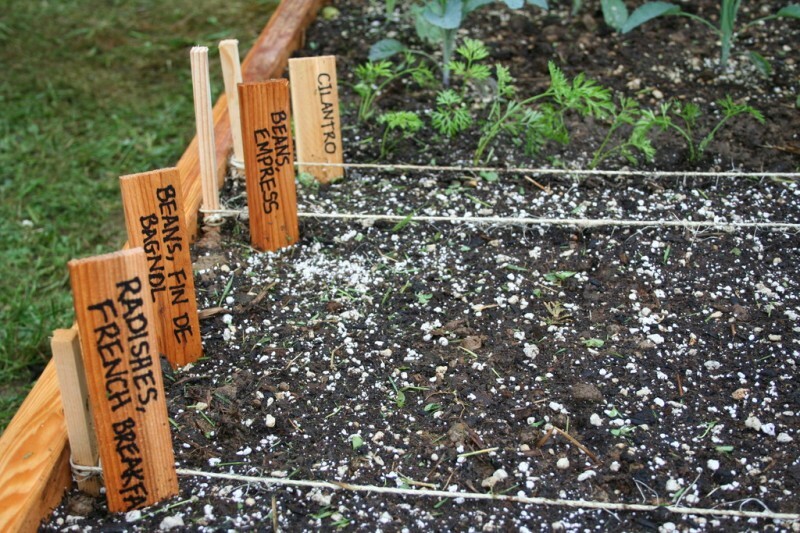 Then I filled the space in between with cilantro, two types of bush beans, radishes and beets. 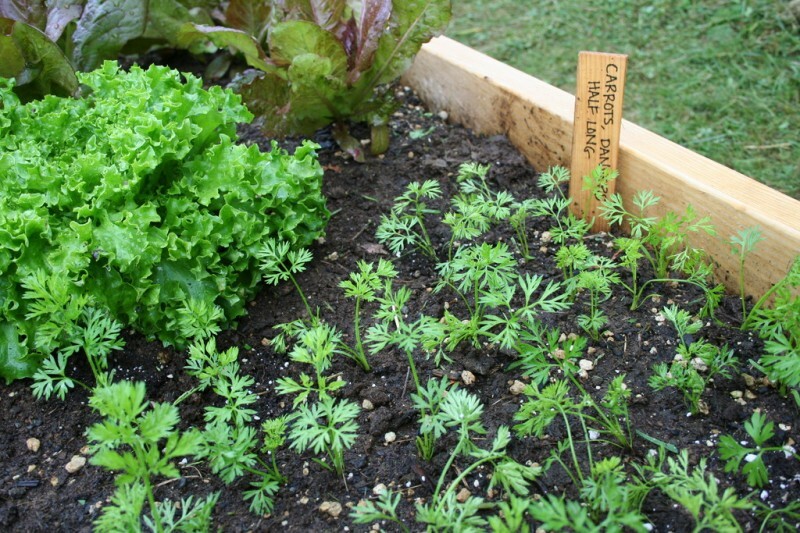 Oh, and you'll see some carrots over by the kale and broccoli; I just couldn't throw away the ones I had to remove to thin out the other patch. I have been making these little signs so I know what is what, and so visitors do as well. These rows are where I just sowed seeds that day. Hopefully they will be germinating soon! Just a different perspective on the beds. Looking down from the raised garden area to the rest of the back yard. 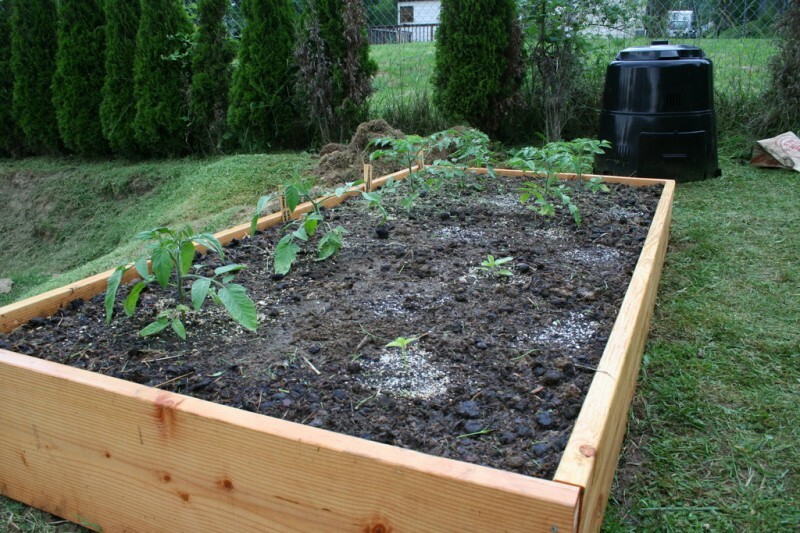 This was the second-to-last bed I built, which was designed specifically for tomatoes. I read that tomatoes really ought to have about two feet of space between plants minimum. I have heard from people that that may be overkill, but I really love tomatoes and want to see them do well. So, I've got six plants in this bed, each with two feet of space to themselves. 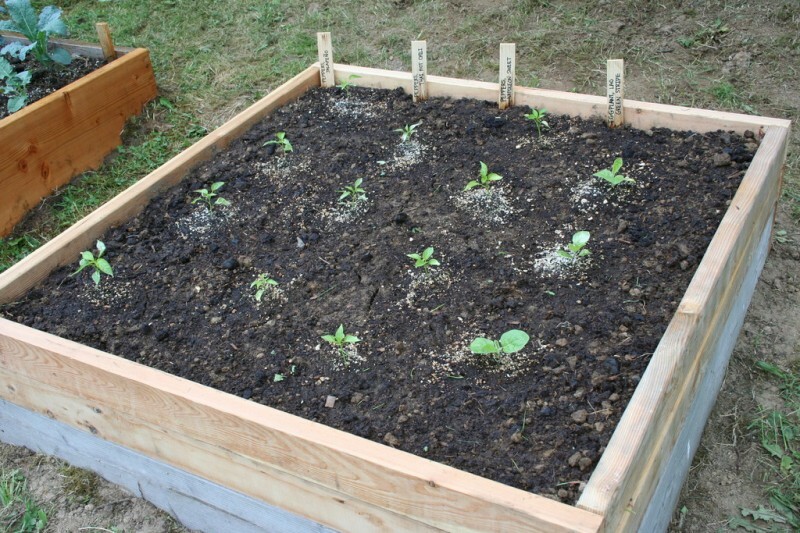 I also planted one Napoleon Sweet Pepper and one Lao Green Stripe Eggplant in this bed with the two feet spacing because the seed packets also recommended this spacing for those plants. I thought I'd experiment a little and see if it makes a difference. 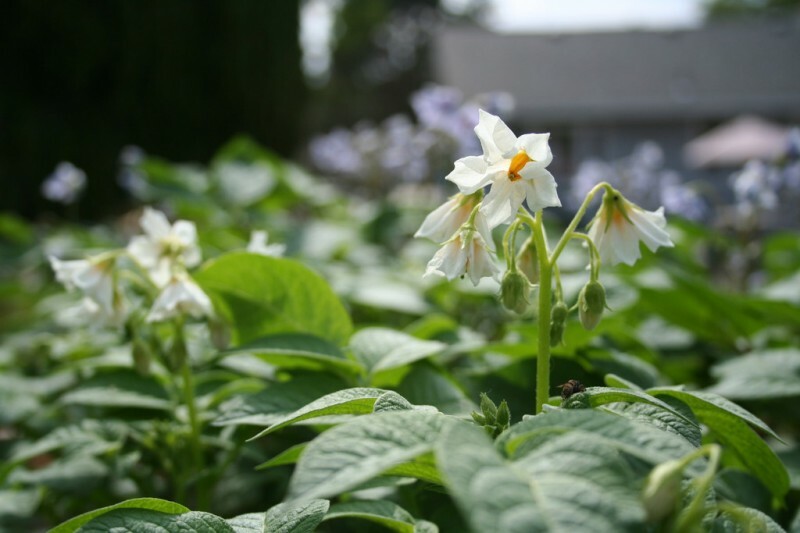 I was pleasantly surprised to discover that potato plants have flowers. (I am a newbie at this gardening thing). These are some of the flowers from the All Blue variety, which interestingly enough, are blue. Kinda neat. The other variety that Hillary gave me produced these white flowers. 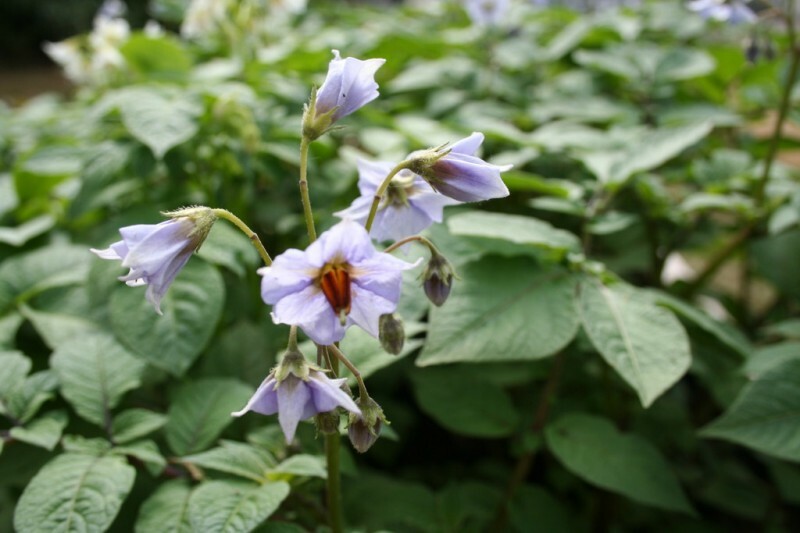 It's interesting how so far the color of the potato is reflected in the color of the flower. 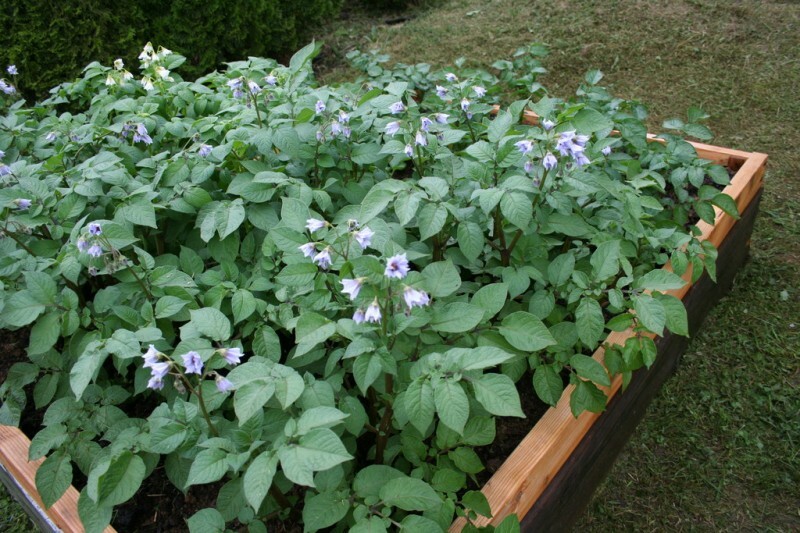 I'm curious if the red (skinned) potatoes will have red (or pink) flowers, or maybe just white. Those I think are growing slower because their side of the bed is considerably more shaded, and also because I probably didn't let them sprout as properly as Hillary did with hers. 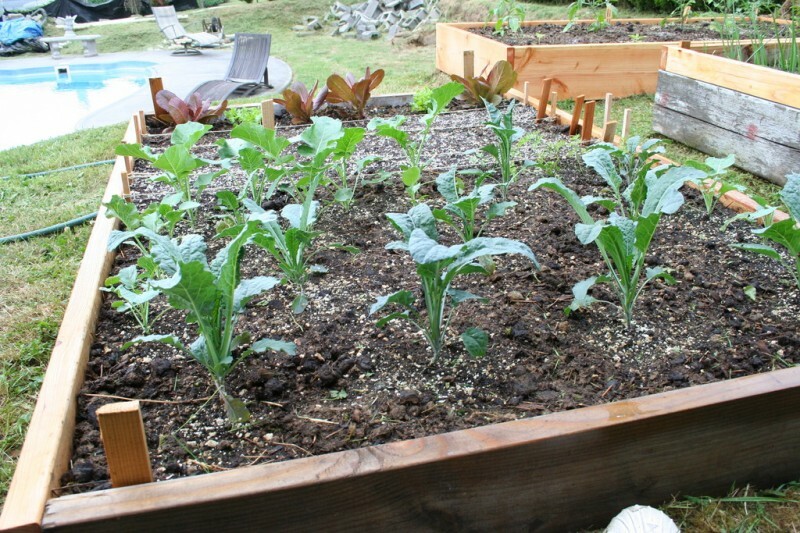 Anyway, so that's what my first vegetable garden looked like as of the middle of June. Fun stuff!